Today's Home Office related news coverage includes the seizure of 79 handguns by Border Force officers in Northern France, a report into the funding of extremism and the extension of the Syrian Vulnerable Persons Resettlement Scheme. Border Force plays a pivotal role in protecting our communities from harm and we have dedicated and experienced officers working tirelessly to detect and seize dangerous items like these. 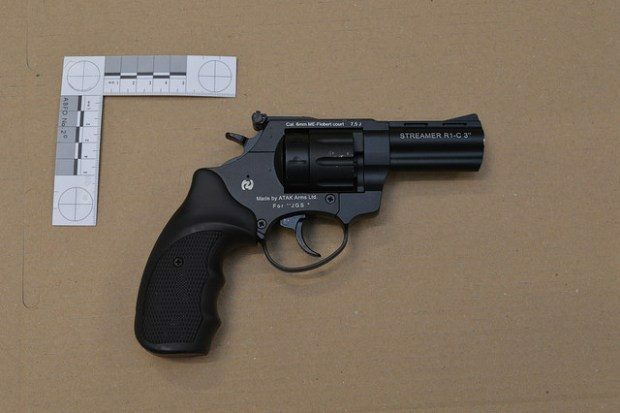 Our close working with the NCA and other law enforcement partners will continue to prevent illegal firearms entering the UK and ensure those responsible are brought to justice. Read the National Crime Agency press release. The Times and Guardian report that the Home Secretary announced in Parliament yesterday that the Syrian Vulnerable Persons Resettlement Scheme is to be expanded to include other nationalities caught up in the conflict following advice from the UN refugee agency. The Times says it is expected that several hundred Iraqis, Palestinians and Kurds will benefit from the expansion and the Guardian notes that family groups of mixed nationality will now be helped. Both papers notes that 7,307 Syrians have been brought to the UK under the scheme, half of them children. A press notice was issued about this change yesterday alongside a Written Ministerial Statement from the Home Secretary. The Times and Guardian report that the Prime Minister has been accused of “burying” a report into the funding of Islamist extremism, written by the Home Office's Extremism Analysis Unit. The Times notes that the Prime Minister said in answer to a written parliamentary question yesterday that Ministers were considering advice on what parts of the report are able to be published. A statement on this report is below. The review has improved the Government’s understanding of the nature, scale and sources of funding for Islamist extremism in the UK. Ministers are considering advice on what is able to be published in the report and will update Parliament in due course.